This is the perfect sparkler for our May wedding exit! I tried it out on our balcony and the color was great, it lasted for at least 2 minutes, and it really didn't have much smoke. I think it will look great in the pictures. Best sparklers ever! Best sparklers ever! 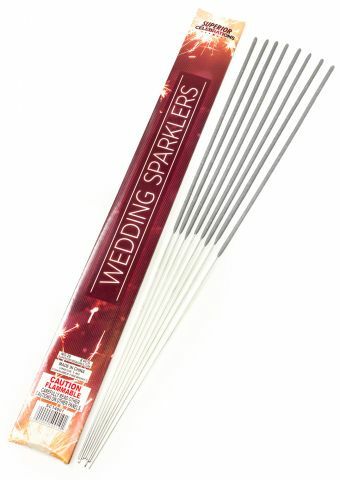 These sparklers were perfect for my wedding! They lasted a long time and everyone enjoyed them. They made great trailing pictures because they lasted so long. Very happy with our purchase; the ordering process was easy...your response was "extremely" prompt and the sparklers were a big hit. May send you photos when we get them in. I bought the to use for our wedding in July. I tested a couple out and they seem to be just what they say, no smoke very bright and lasts a couple minutes. I can't wait to get to use them at our wedding! Great product.. Delivery was quick. Great product.. Delivery was quick. 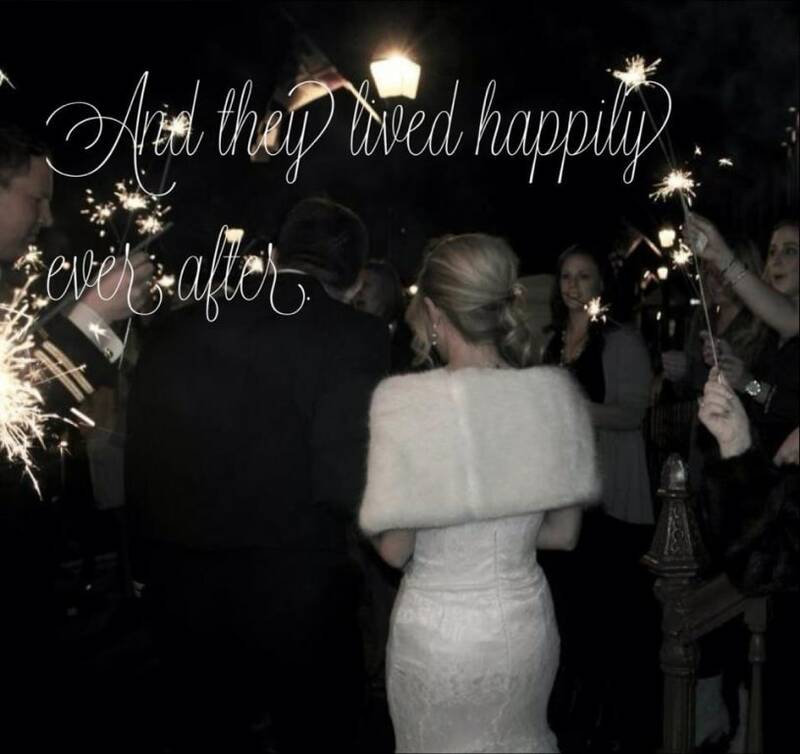 We used the sparklers to do a 'Sparkling Sendoff' for the newlyweds. Super fast shipping and excellent staff! Super fast shipping and excellent staff! I called the week before my wedding on a Thursday and they had my package at my door that Friday! Super duper fast shipping and the gentleman that answered the phone was awesome! I would definitely recommend then and will purchase from them again! Will not use until 7-6-13! Will not use until 7-6-13! Will be used at wedding reception 7-6-13. Delivery was prompt and product was in good condition!